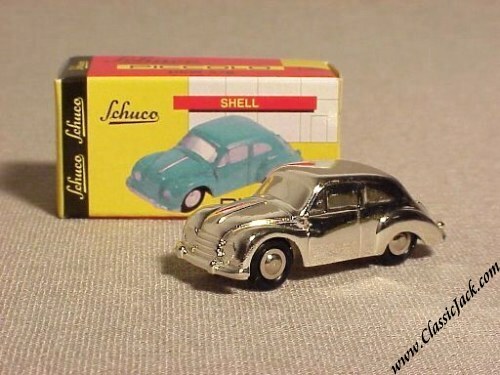 Schuco Piccolo DKW 3=6, Chromed. 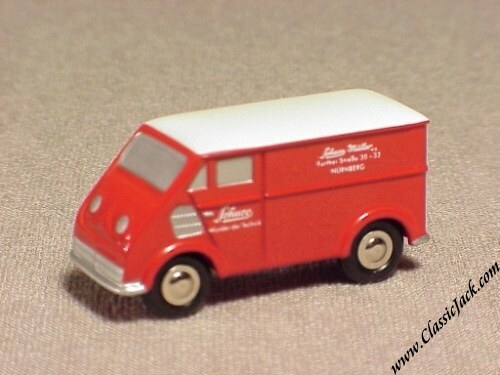 Originally part of a large collectors set but now also available loose. Limited Edition of 2,000 pcs ! 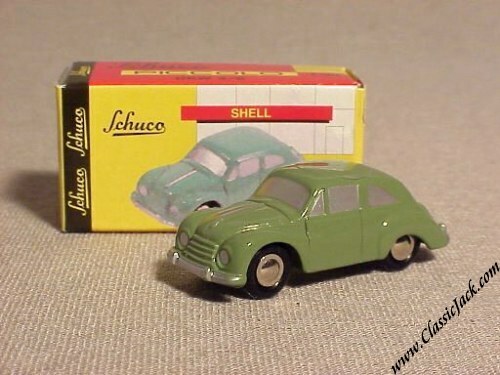 Schuco Piccolo DKW 3=6, Green. 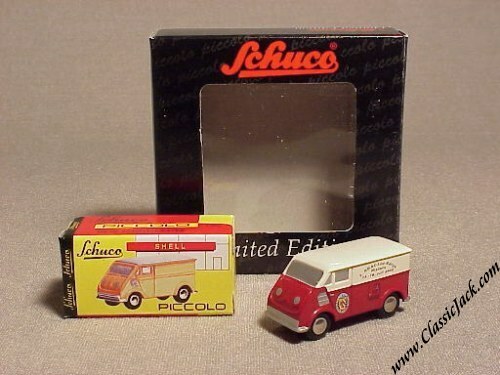 Issued in April 1997, Schuco produced a total of 4,000 pcs. which sold out at the factory in October 1997 when it was replaced by the a burgundy-colored version. 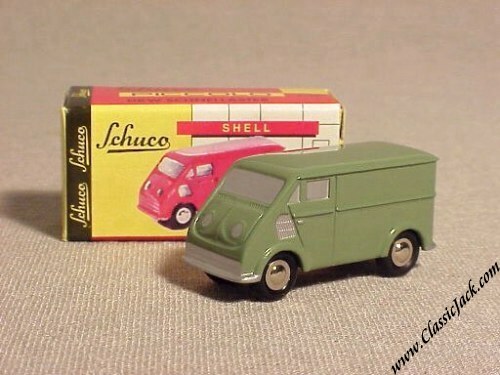 Schuco Piccolo DKW Schnellaster, Green. Issued in late 1999, it replaced the obsolete red version. A total of 4,000 pcs were made. 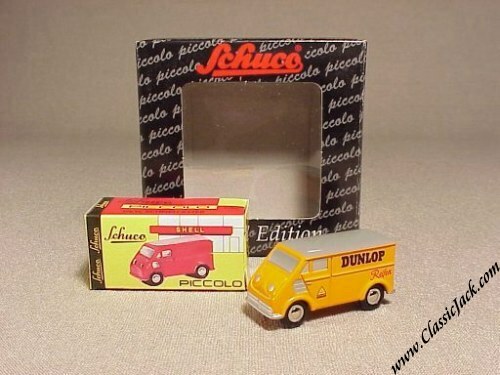 Schuco Piccolo DKW Schnellaster, Dunlop. Issued in March 1999, it was made at the initiative of Dunlop. It is a limited Edition of 3,000 pcs. 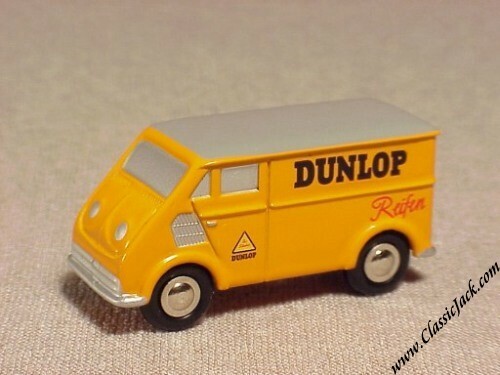 of which 1,500 went to Dunlop and the rest went to the specialist toy trade. 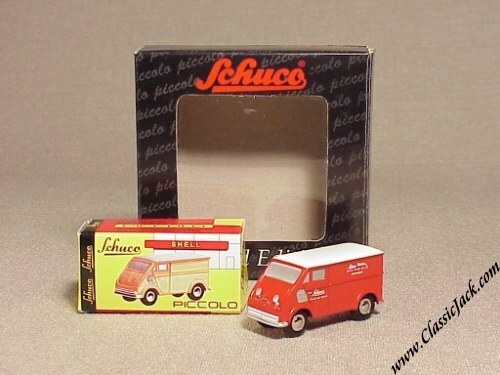 Schuco Piccolo DKW Schnellaster, Avd. Issued in April 1999, it is a very nice elaboration of the regular Schnellaster. 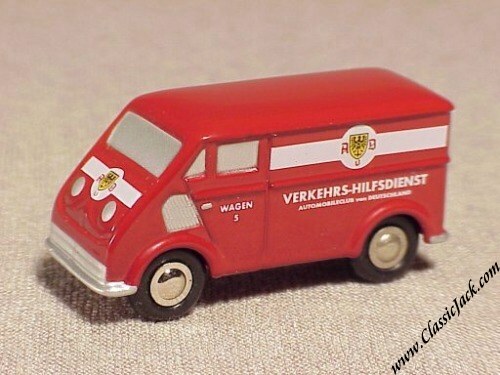 It carries the print of the AvD Verkehrs-Hilfsdienst. It is a limited Edition of 3,000 pcs. 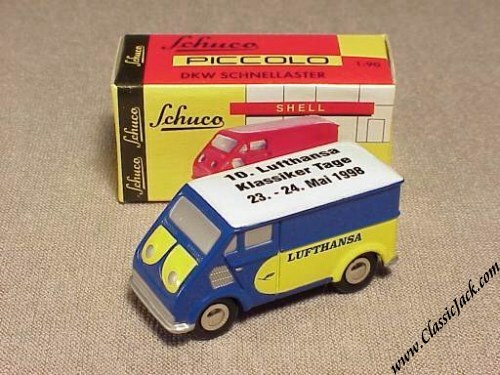 Schuco Piccolo DKW Schnellaster, ADAC Südrallye. 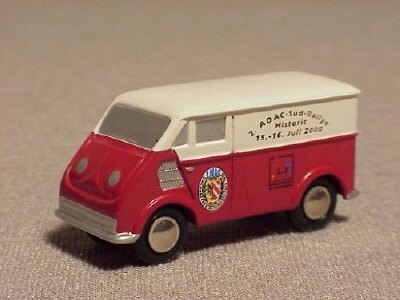 Issued in July 2000, this car was made for the occasion of the second Südrallye (or Southern Rally), organized by the German Automobile Club A.D.A.C. It is two-tone Ivory and red with elaborate print on the sides. It is a limited Edition of 2,000 pcs. destined for the specialist toy trade only. Schuco Piccolo DKW Schnellaster, 950 Years Nürnberg. 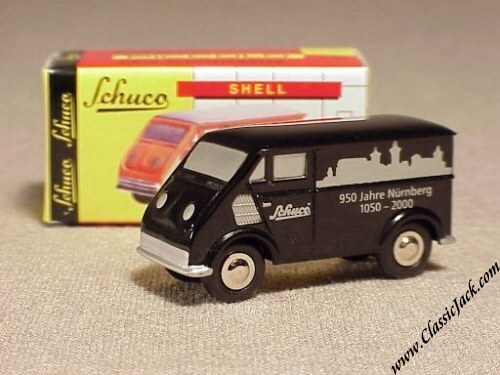 Issued in July 2000, this car was made for the occasion of 950 years of Nuremberg, Schuco's home town. It is dark blue with elaborate print on the sides. 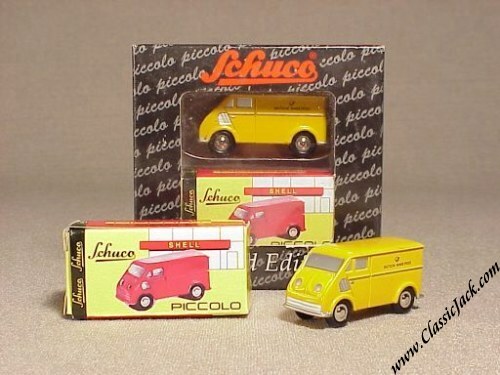 Schuco Piccolo DKW Schnellaster, Piccolo Book 2000. 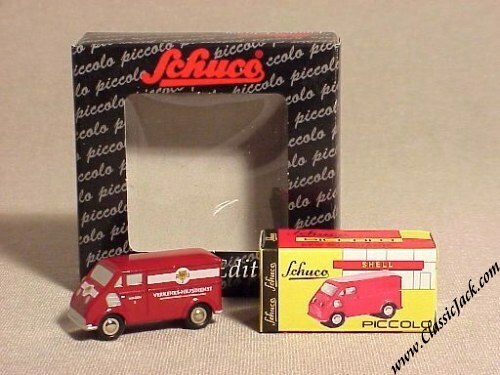 Issued in September 2000, this car was originally came with the Piccolo Collectors Guide. It is now available separately though. 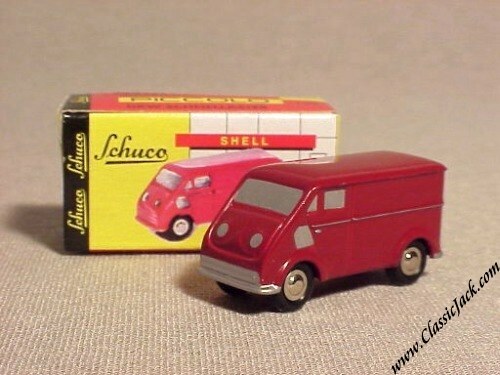 It is red with a white roof and has white Schuco "Factory" lettering on the sides. It is a limited Edition of 3,000 pcs. destined for the specialist toy trade only. 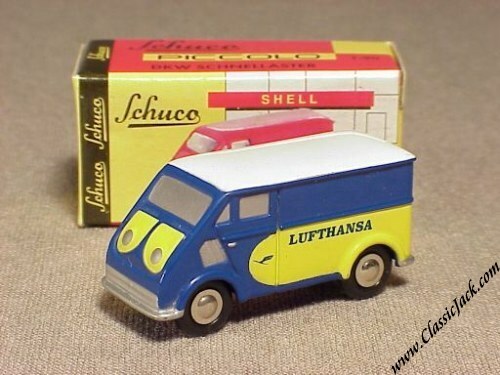 Schuco Piccolo DKW Schnellaster, Lufthansa. Issued in June 1998, this elaboration of the plain Schnellaster was made for Lufthansa and destined for sales through the specialist toy trade. 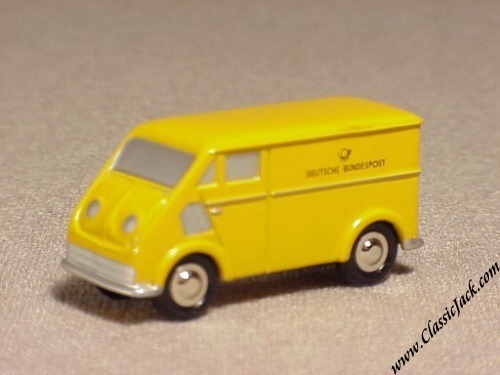 It represents a 1950's Lufthansa van in the well know yellow & blue color scheme. It is a limited Edition of 2,500 pcs. 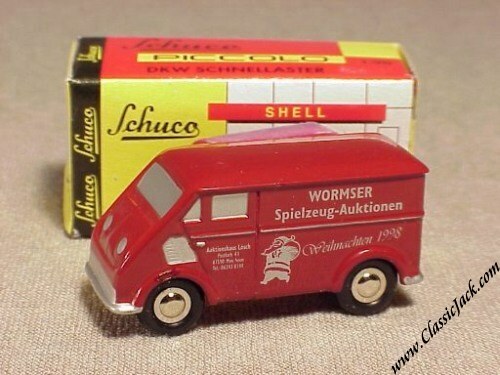 Schuco Piccolo DKW Schnellaster, Wormser Spielzeug-Auktionen. Issued in December 1998, it was made as a promo for Auktionshaus Lösch who run the Wormser Spielzeug-Auktionen. It is a red Schnellaster with elaborate print on the sides. It is a limited Edition of a mere 1,000 pcs.